To say the self-driving car industry has been under a bit of scrutiny lately would be quite an understatement. Following the fatal self-driving Uber crash in March which resulted in the death of Elaine Herzberg, companies developing autonomous car tech have been walking on eggshells. Some companies, such as Toyota, have paused their self-driving programs while waiting for the fallout from the situation to die down. Unfortunately for the industry, that may take longer than many initially thought - yet another fatal self-driving crash occurred on March 23. In the tragic incident, a Tesla Model X vehicle crashed into a barrier while Autopilot was engaged, killing driver Walter Huang. Shortly after the crash, Tesla expressed their condolences to the Huang family as they conducted their own internal investigation. 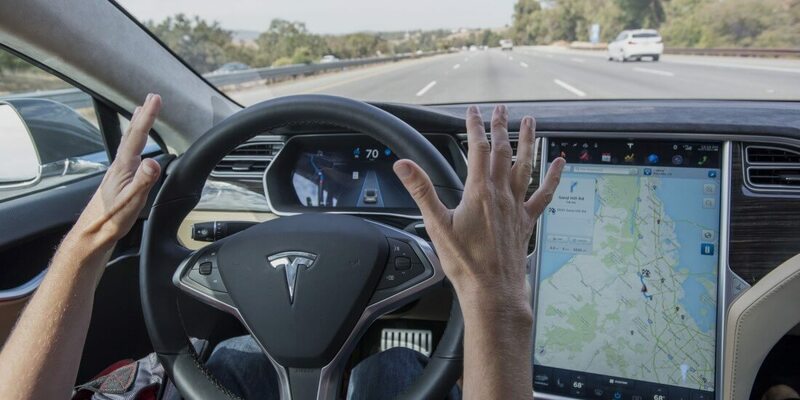 However, according to the company, Huang kept his hands off the wheel despite the vehicle's repeated warnings to retake control - a decision Tesla believes places the blame squarely on Huang himself rather than their Autopilot technology. The company has doubled down on that stance today. "The only way for this accident to have occurred is if Mr. Huang was not paying attention to the road," Tesla reportedly said in a statement. "The fundamental premise of both moral and legal liability is a broken promise, and there was none here." Tesla went on to say it is "extremely clear" that Autopilot requires a drivers' full attention at all times. The company isn't technically wrong here; Autopilot does indeed rattle off both audio and visual notifications when a driver removes their hands from the wheel. However, only time will tell if the Huang family's lawyer will accept Tesla's explanation.